​Whether you’re trying to tear up the roadway in an effort to improve your body or clear your mind, you want to be safe while doing it. That’s where the best reflective running gear can come in handy. The number one goal of every runner should be to return home safely after their run. When you own more neon and bright colors than Rainbow Brite, you might already feel protected. 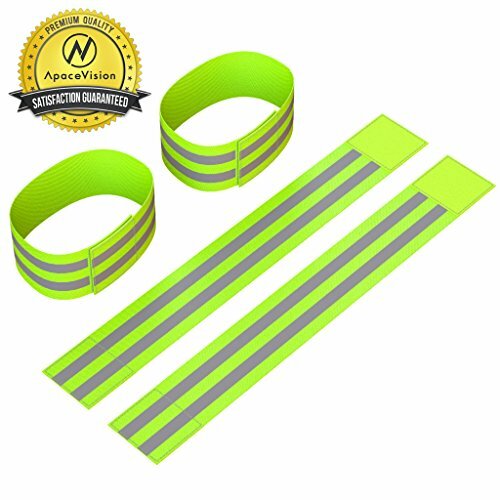 While those neon colors are a good choice for visibility, once the sun goes down, their power is limited. That’s when it pays off to wear reflective material. Even if you go for a predawn run or you lace up your shoes after work, long after the sunlight has faded, reflectivity will help you stay visible to motorists. Every year there are a number of accidents that involve cars and runners, and they never turn out well for the runner involved. Your best bet is to prevent an accident rather than try to recover from one. While motorists should always be on the lookout for potential hazards while they’re driving, at the end of the day, no one is more invested in our safety as runners than we are. We need to be proactive rather than reactive when we’re pounding the pavement. Stacking the deck in our favor when it comes to safety is a measure every runner should take. The best chance we have to avoid being hit by a car is to make ourselves stick out when we’re running. Reflective gear is one of the best tools we have for doing that. The simple act of strapping on some reflective gear could literally save our lives. What Kind of Reflective Gear Is Available? 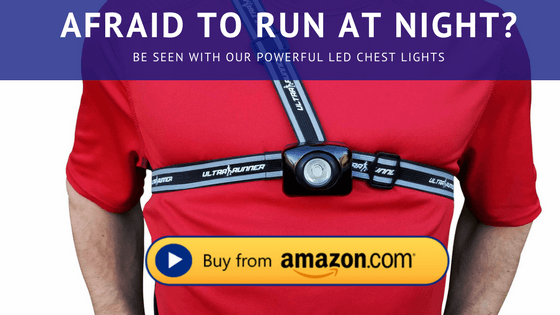 In an effort to make things safer for runners and to fill the demand created by the popularity of running, companies have been rolling out the reflective gear. 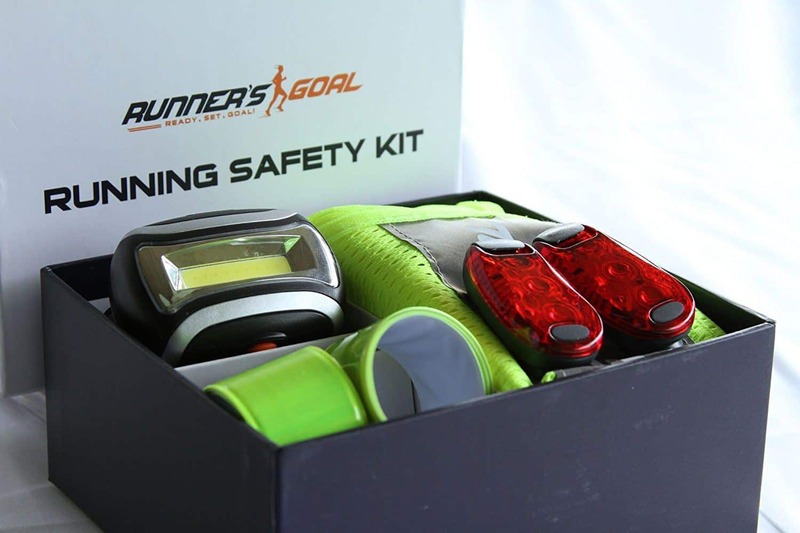 We’ve even entered the race, so to speak, by unveiling our own runner’s safety package. A wider variety of products is wonderful news for runners because it means we have a greater choice than ever as to what kind of gear we wear. You aren’t limited to just reflective running jackets either. You have a huge arsenal at your disposal––you can use a reflective vest, arm bands, ankle bands, hats, belts, and running shoes. You can use as much reflectivity as you want, or you can go with some simple well-placed stripes. 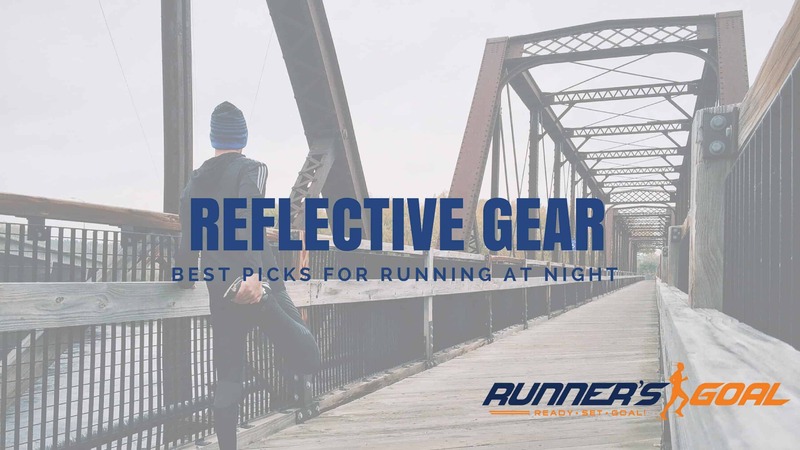 What Should I Look For When Choosing Reflective Gear? Before you order any products, you should carefully consider what will work for you. It’s okay to take your friends’ recommendations on products, but what works for them might not be a good choice for you. So check out these factors you’ll want to think about before making a purchase. They might save you some frustration and money. By choosing a product that’s right for you the first time, you won’t have to buy multiple products before finding the right one. Comfort: You have to feel good wearing whatever product you choose. If it feels constrictive, tight sandpaper-like on your skin, you won’t want to wear it. And that reflective material won’t do you a bit of good if you end up leaving it at home instead of wearing it on your run. What time of the year you’re running: Reflective gear is a good idea to wear year-round. While a jacket is a great source of reflectivity in the winter, you’d be overheated if you wear it on a run in the summer. So you’ll want an additional product, like a reflective vest, for those hot months. How much reflectivity it has: Some runners only feel fully protected if they are wearing a huge amount of reflective material. Others feel a simple well-placed stripe or two will suffice. We’d recommend using more than a couple of stripes, but every little bit is certainly better than nothing. Price: Running is a simple sport, but it can be a deceptively expensive one. There are so many gear add-ons that make running safer or more enjoyable that the costs can start to spiral out of control. If you’re watching your bottom line, there are a lot of affordable reflective pieces out there for you. Does the piece of gear multitask for you: Some reflective gear, like arm bands or ankle bands, only serve one purpose: to make you visible. If you want more than one use out of your gear, choose a product that gives you more bang for your buck. Get a jacket that will protect you from the cold or a reflective belt that will hold energy gels and other items for you. When you want a lot of reflectivity but you don’t want the heat a full-fledged jacket will bring, you should consider a running vest. You’ll still keep your core covered in reflective material, but you won’t feel like you’re going to overheat with every step you take. This vest provides 360-degree visibility so motorists will see regardless of the direction of approach. The vest can be seen from up to 750 feet away, which gives drivers a chance to slow down and plenty of room to swerve if necessary. It has a zippered pocket for your phone, keys, or other items you need to take along with you. It’s easy to put on and take off, even when you’re sweaty from a run. 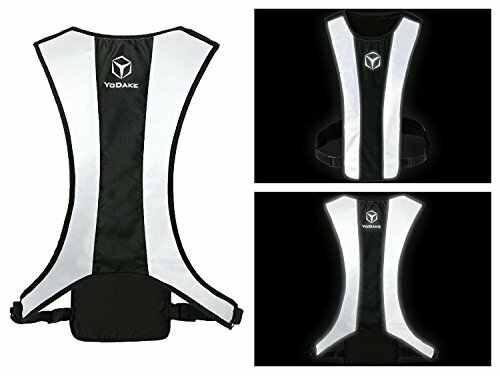 The vest won’t shift around on you when you’re running. It comes with two wrist or ankle bands for extra visibility. It also includes a mesh bag for storage. It comes in extended sizes for larger runners. Some runners aren’t a fan of how short the vest is. Some runners say the sizes are off; the vest is bigger than expected. Reflective ankle or wristbands can provide just enough reflective material for you to be noticed without making you feel like you’re completely wrapped in reflective material. The movement of your hands or legs while you’re running will help draw attention to the fact that someone is running on the roadway, which should prevent motorists from hitting you. You’ll get four bands in this pack. You’ll get two colors to choose from. The velcro closures are strong. The bands are lightweight so you won’t feel like you have ankle weights strapped on during your run. It comes with a carrying pouch to keep your bands in like-new condition between uses. One size will fit most, but it won’t fit all. Some runners said these would be better with a bigger piece of velcro so the length could be adjusted better. 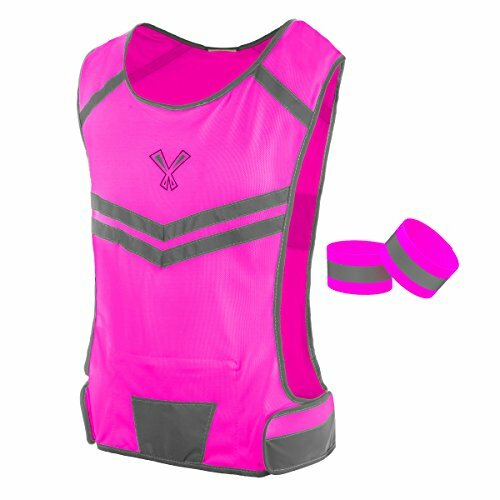 People who are looking for more color choices than the typical neon yellow reflective running vest might appreciate that this one offers two additional color choices, including pink and orange. The vest is soft so you won’t feel the material chafe you as you run, even if your arms rub against it. If it gets wet, it will dry quickly so it will be ready for your next run. Even during the day, the bright colors of this vest will make you more visible to motorists. It has a pocket on the vest so you can carry some items with you on your run. This vest comes with two bands that can be worn on the wrists or ankles. Some runners don’t like how short this vest is. Some runners have had issues with the stitching giving out on this vest. This running vest will provide super high visibility with its white reflectivity. Motorists will be able to see you from up to 1,000 feet away. It has an elastic strap that lets you adjust the size and fit. It’s comfortable enough that you’ll be able to wear it without thinking twice about it. This vest has a hidden pocket that can hold bigger items like your phone, but it also has an earphone hole so you can run while listening to music––without that annoying cord flap. This covers a wide area with reflectivity, which gives you a better chance of being seen. It can fold up tight enough that you can fit it in your pocket. One size fits most people, but not all. If you hate the idea of wearing reflective jackets because they seem too large, hot, or just plain annoying, you might want to check out a running belt instead. This one offers a lot of reflectivity––it’s visible from up to 1,000 feet away. The belt comes in two different sizes and the largest fits up to a 48-inch waist, which is nice for larger-sized runners. If you don’t want to wear it as a belt, you could wear it like a sash across your body. It only weighs 2.8 ounces, so wearing it won’t tire you out or slow you down. It’s simple to put on and take off. Some runners have complained about the belt making an annoying noise when running. The elasticity on the belt could be better. 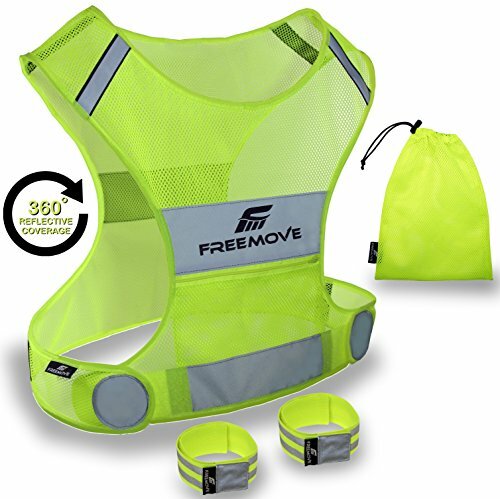 The Freemove vest is one of the best reflective running gear pieces for those who are looking for protection on the roadways without spending a ton of money. It provides 360-degree visibility as well as a zippered pocket for your belongings. The vest won’t shift around on you when you’re running and it even comes in extended sizes so runners of most sizes can use it. This vest also comes with extras, including two bands for your wrists or ankles and a mesh storage bag.